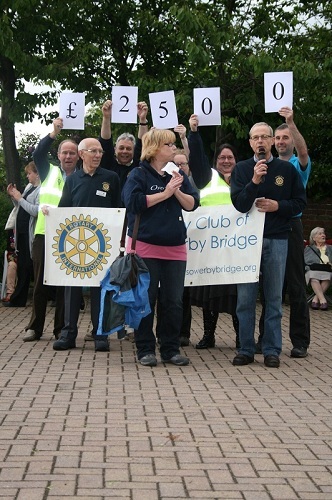 Rotary Club of Sowerby Bridge - Welcome! Come along to one of our meetings to discover how we help people in the local community and on national and international projects. 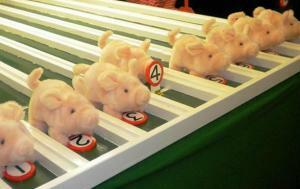 Carrying out these activities develops both friendship, understanding and a sense of community, as well as beng fun. We meet on Monday evenings (except Bank Holidays) for a meal, discuss ongoing and upcoming activities as well as listen to a speaker. First Lady President of the Club! 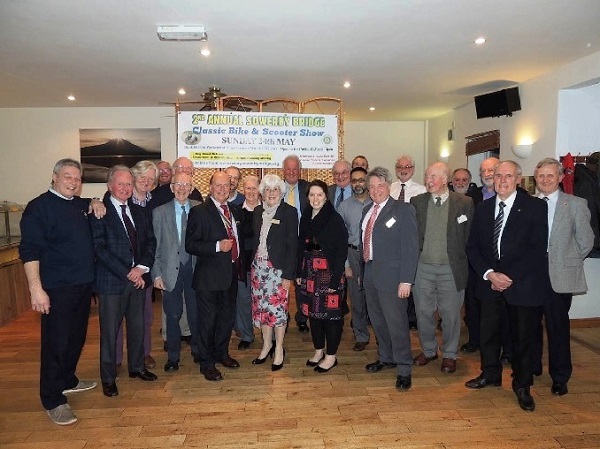 At last the Rotary Club of Sowerby Bridge welcomed Hazel Brindle as its very first Lady President for the year 2017/2018 in the 63 year history of the Club at its recent handover meeting. Hazel who was inducted as President on 3rd July will bring a wealth of experience from her professional career in Education and as a JP for twenty years in Manchester.As well as Rotary, Hazel gives her time as a District Secretary for Scouting and is involved in Rotary District 1040 as Minute Secretary and Conference Secretary.Hazel is no newcomer to Rotaryas her husband Paul is a long standing member of another local club and is District Treasurer for District 1040. 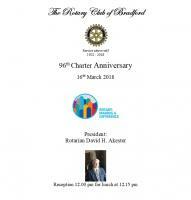 Meanwhile, you may be wondering...What exactly do we do at the Rotary Club of Sowerby Bridge? We organise events such as a Classic Bike Show, we marshall at local community events such as the Rushbearing Festival and the Navigation Walk, we raise funds to contribute to the global eradication of polio programme, we support the local Rotakids group in Luddenden, as well as help Ryburn Valley High with their Falcoln project. There are plenty of opportunities to find out more. Either telephone or e-mail our Membership Contact - Anne Sutcliffe (see the membership pages in "What we do") or the Secretary, Jeffrey Fisher or come to one of our meetings or talk to us at one of the events we either organise or support. By meeting the members in our club who are responsible for international projects, community and youth projects, you will be surprised how effective a small but enthusiastic group of people can be. 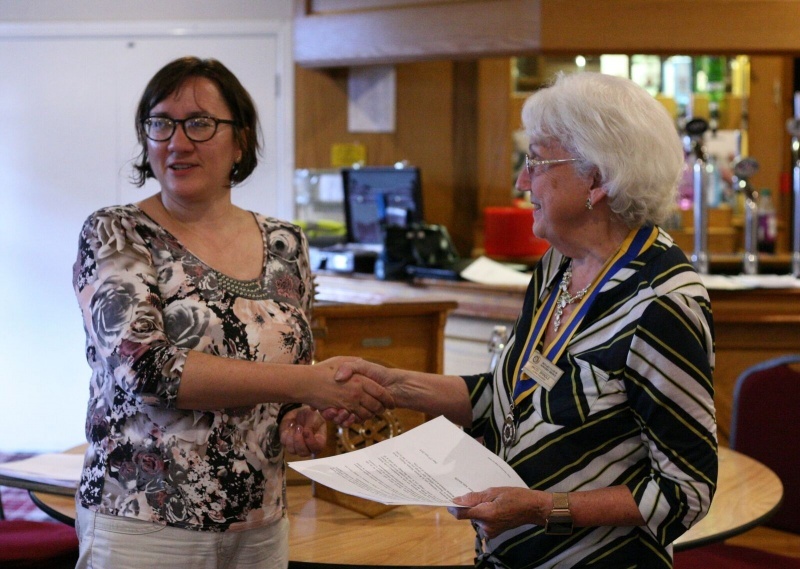 We have built on the bumper years of 2014 to 2015, and following on from inducting David Fawcett of Happy Days, we have 2 new members - Melanie Parojcic as well as Dipin Sood.